Home » How to Import and Edit AVI Files with FCP X on Mac El Capitan/Sierra? I have and tried several converters to get AVI files converted to be able to be edited in FCP X. Im not having any luck so far. what I have tried and the converters - AVI to H264 and pro rez with squeeze, toast, mpeg 5, & brorsoft. 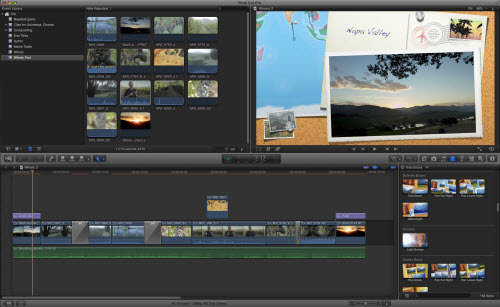 What do need to convert AVI for FCPX editing? Any help out there? Thanks!!!! Why can't open AVI in FCP X? Like MP4, MOV file, AVI is just another media-container. If the contents in AVI fulfills FCP X needs, a simple re-packing can solve your problem, if the content is come "alien" codec such as Divx, Xvid or 3ivx, you will have to convert. 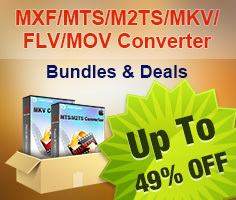 To perform the codec transcoding process, there are some free Mac Video Converter such as Handbrake, MPEG Streamclip, Miro Video Converter, however, you may find that some of them such as Handbrake has limited output options, others like MPEG Streamclip is too complicated to operate, there are still some program like Miro Video Converter may lacks the ability to handle some alien codec contained in AVI files. If you are looking for a powerful Mac Video Conversion tool with advanced options, Pavtube HD Video Converter for Mac (review) can be best solution. The program keeps frequent updating with perfect support for the new Mac OS X El Capitan and MacOS Sierra. You can load AVI files encoded with various different video and audio codec into it, it allows you to encode AVI to FCP X supported file formats in various different types, you can choose one among the list below. 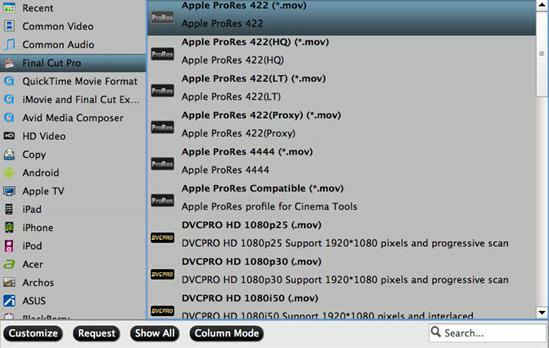 If you computer is old or slow, or you just want to do some rough editing, you can select to output "Apple Prores Proxy)(*.mov)"or "Apple Prores (LT)(*.mov)" format to save more space and bandwidth. However, if your computer are powerful enough to handle multicam and high-resolution video and you are going to do many effects editing work with FCP X, you'd better choose to output "Apple Prores 422(*.mov)"or "Apple Prores 422(HQ)(*.mov)" for better performance. Apart from AVI, the program also facilitates you to convert other unsupported file formats such as MP4, WMV, MOV, MKV, etc into FCP X best compatible editing formats. How to Convert Unsupported AVI for FCP X Editing on Mac El Capitan/Sierra? Step 1: Load AVI files into the program. After transferring the AVI footage from the camera/camcorder to your Mac local drive, launch the program on your Mac computer, from "File" drop-down option, select "add Video/Audio" to add AVI files to the program. 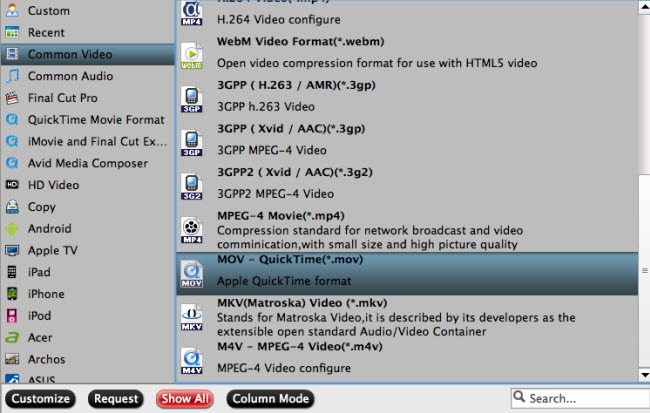 Click "Format"bar, from its drop-down list, select one of FCP X supported file formats such as MOV QuickTime format under "Common Video" drop-down list. For smooth post editing workflow, please output "Final Cut Pro"> "Apple Prores 422(*.mov)"as your desired output file formats for working with high performance computer, for slow computer, just choose "Apple Prores Proxy)(*.mov)"or "Apple Prores (LT)(*.mov)"format. Check an item to active the "Video Editor" function, then click the pencil like icon on the top tool bar to open the "Video Editor" window, you can flip or roate video, trim video length, crop video black bars, add watermark, apply sepcial rendering effect, remove/replace audio in video, etc. Step 4: Convert AVI to Apple Prores format. Go back to the main interface and press the "Convert" icon on the right-bottom to start AVI to Final Cut Pro X Apple Prores codec encoding process. 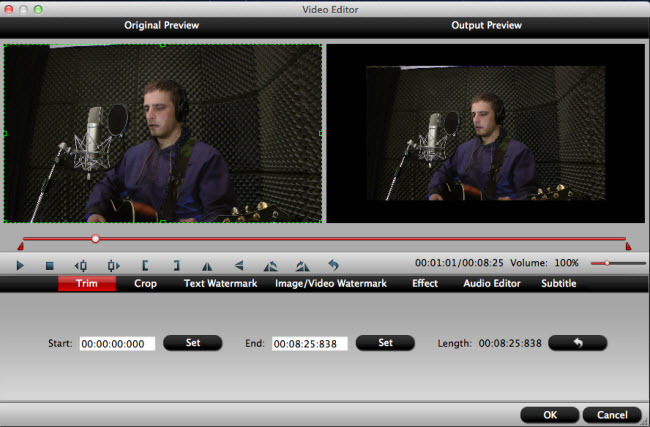 When the conversion is done, you can easily import converted video to FCP X for furthering professional editing. Windows Media Player Won't Play AVI Files, Solved!